It’s February, which means that the Academy Awards are right around the corner. Whether you are watching alone or watching with a group of friends, one of the best parts of the show is guessing which nominees will win each category. To help you in the fun, we updated our printable Oscar ballot from last year with all the nominations for 2017. This time we’re offering it as a free download so you can share with your friends near or far! 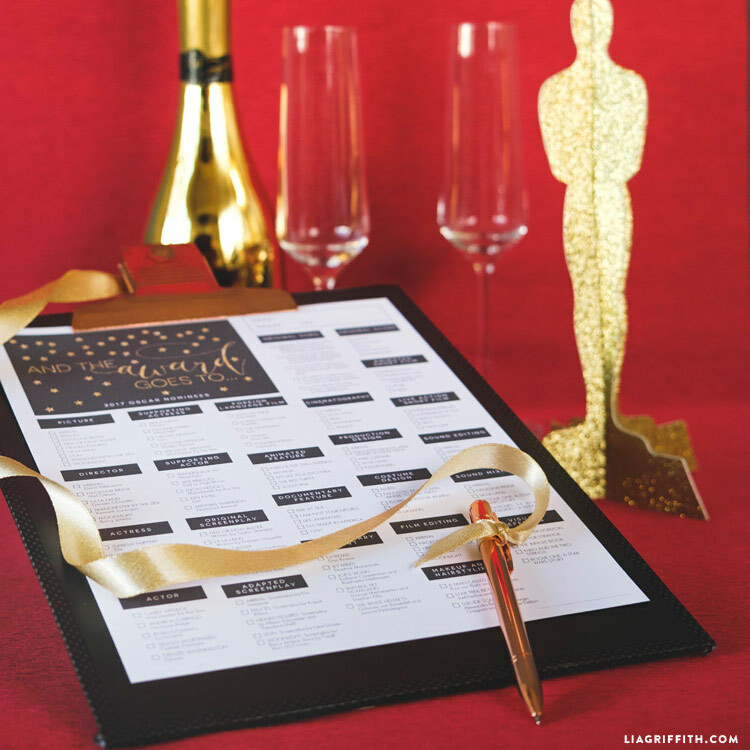 Our Oscar ballot features glittery gold accents that match our editable watch party invitations, so feel free to use them together in a set. 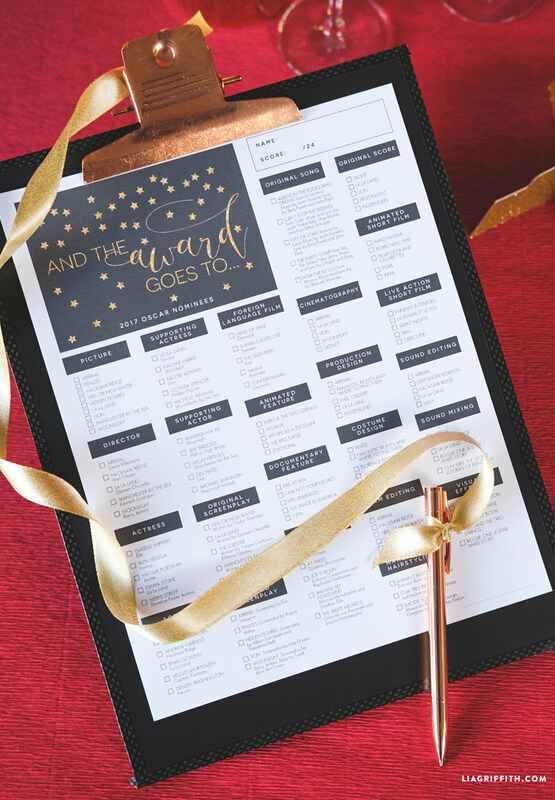 The ballot includes check boxes next to each nominee, plus a place to calculate a score at the top of the page. If you want to make a game out of it, have your guests make their best guesses before the show begins. Then give prizes for the most accurate predictions! Simply print onto copy paper or cardstock to hand out your ballots. 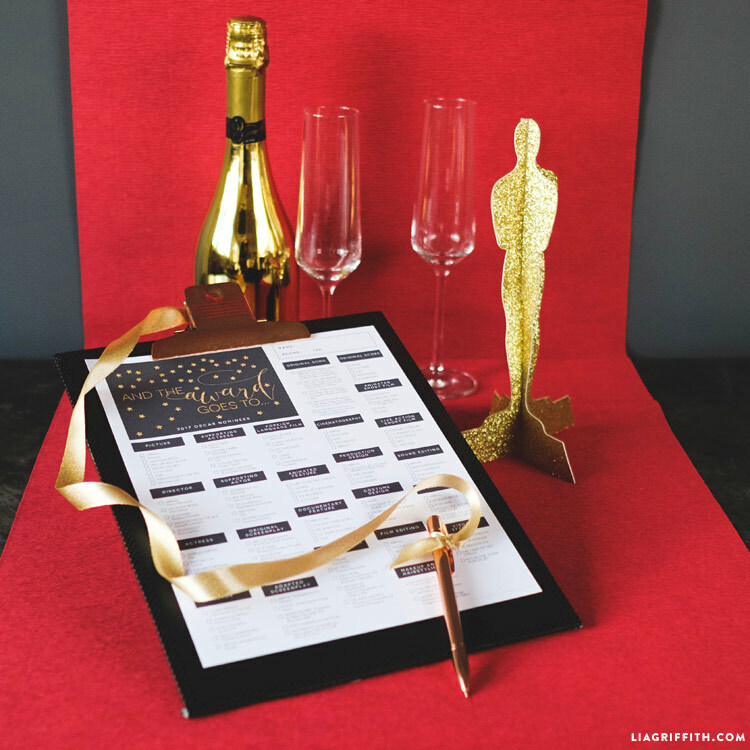 These printable ballots are KEY to a successful Oscar Party! Thank you SO much!